Waterfront views, majestic structures, stately homes, and clouds of history come together in Grosse Pointe, Michigan, one of the state’s most prized communities. Located on Lake St. Clair, near Detroit, Grosse Pointe is a collection of five cities – usually referred to as “the Pointes” – where some of the earliest prosperous Detroiters called home. With the dawn of the automobile, Grosse Pointe became a magnet for city-dwellers to build grand estates along the lakeshore, and the tradition of successful people and families making their homes in the Pointes continues to this day. Neighborhoods in the Pointes radiate a sort of pleasantness that lake communities often provide. Trees are everywhere, sidewalks are plentiful, and residents are often out-and-about biking, walking their dogs, or simply enjoying the fresh air. Properties tend to be neatly landscaped, and homes are well-kept, reflecting the pride the people of the Pointes have for their communities. Depending on your approach, home-buying in the Pointes can be both easy and daunting; many 3-bedroom/2-bathroom or 4-bedroom/2.5-bathroom homes are available at prices comparable those in other suburbs of Detroit; but, of course, as you get closer to the water, the homes become larger, pricier, and more luxurious. The mansions on Jefferson, the road that runs along the lakefront, can easily fetch $1 million or more. Having a home in the Pointes gets you access to the public school system, one of the most renown in the state. US News ranks the high schools as above-average (compared to the rest of the state) in college readiness, math, and reading. Elementary schools teach Spanish, and Chinese is now a elective language. The music program has a Grammy award to its name. Graduates go on to renown colleges, including Duke, Columbia, and Stanford. Grosse Pointe South High School is listed on the National Register of Historic Places and has hosted, among other things, a speech by Martin Luther King Jr.
Grosse Pointe’s downtown, known locally as “The Village,” features a variety of shops, businesses, and restaurants, such as City Kitchen and Jumps. The Village hosts various events and fundraisers throughout the year, including a classic car show and a children’s festival. While the Village is recognized as the central business district uniting the Pointes, each of the five communities has distinct characteristics. Grosse Pointe Park has the oldest overall housing stock of the five cities. Built on a grid pattern out of Detroit, housing ranges from tightly-packed single family homes to lakeshore mansions. The first brick house built in the Pointes, dating to 1840, is in “the Park.” The Park is also home to the entrance to the Detroit River and the end of Lake St. Clair. Grosse Pointe Farms is the terminus of Jefferson Avenue, the famous lakefront road seen in movies including Grosse Pointe Blank and Gran Torino, and home to numerous historical structures. “The Farms” is home to the actual point of Grosse Pointe, just east of the Grosse Pointe War Memorial where there’s a large bend in the lakeshore. Grosse Pointe Shores, at 1.1 square miles, is the smallest of the Pointes. It is the home of the 20,000 square-foot Edsel (son of Henry Ford) and Eleanor Ford House. Public walking tours through the estate are available, and it hosts special events, classes, and lectures. Grosse Pointe Woods is the newest of the Pointes, as many of the structures in “The Woods” were constructed in the 20th century. It’s the only one of the Pointes without Lake St. Clair shoreline (though the city owns a nearby park in St. Clair Shores). Grosse Pointe, known colloquially as “The City,” is the physically smallest of the five cities, and is home to the Village. Each city also has at least one municipal park along Lake St. Clair. Befitting its reputation, Grosse Pointe has been home to a number of notable residents. Jeffrey Eugenides wrote Middlesex, a novel set in Grosse Pointe, which won the 2003 Pulitzer Prize for Fiction. Former Detroit Tiger Prince Fielder and Jack Kerouac’s first wife have called the Pointes home. Collectively, Grosse Pointe boasts some of the nicest homes and neighborhoods in metro Detroit. If you’re looking for true suburban living in a close-knit community (where, sometimes, everybody really does know your name!) with buildings and homes that show off its history and class, Grosse Pointe may be the perfect place for you to call home. 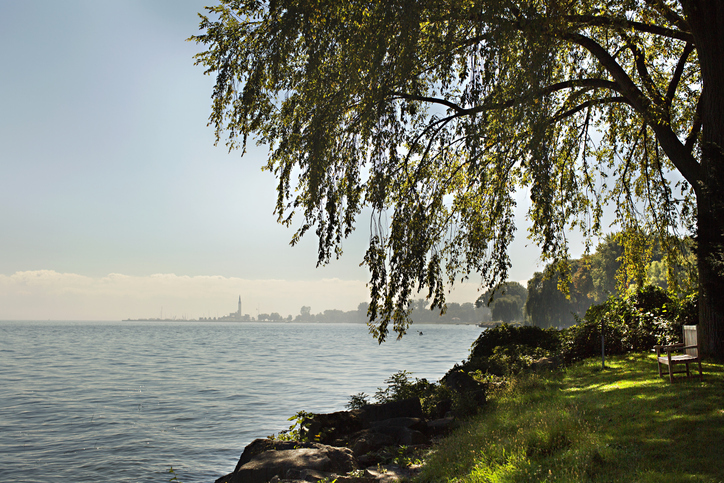 To learn more about Grosse Pointe, download our Grosse Pointe Area Booklet.